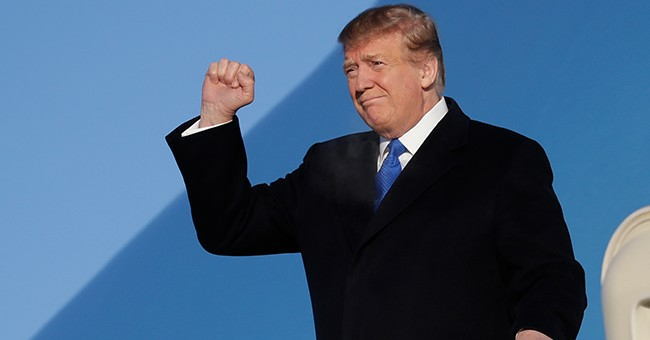 A new poll released by CNN Tuesday shows a whopping 71 percent of Americans are pretty happy with the economy, which has been driven by President Trump's White House through deregulation. Here's another nugget related to the current free market vs. socialism debate happening on the 2020 campaign trail and throughout Capitol Hill. About 7 in 10 Americans in the poll say they have more trust in the free market than in the government, up a bit from roughly two-thirds who said so in 2011, as the country was recovering from the Great Recession. That trend holds for all except Republicans -- 77% of whom currently place more faith in the free market than the government, down a tick from 81% who said so in 2011, when Democrat Barack Obama held the White House. Based on the numbers, a comparison to other presidents at this point during their time in the White House shows Trump could be on his way to reelection. Trump's 42% approval rating at this point in his presidency puts him between President Bill Clinton in 1995 (44%) and President Ronald Reagan in 1983 (41%). President Trump took notice of the poll and tweeted about it Tuesday afternoon.